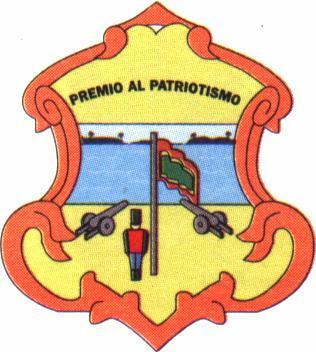 The flag of the city of Barranquilla was previously reported as the department flag. According to <www.bundenet.com>, the department flag is W-R-W triband. The presidency official site <www.presidencia.gov.co> shows the same WRW triband as Atlantico Department flag. I live in Barranquilla, Atlantico, Colombia. The correct Atlantico flag is the white-red-white horizontal-striped one, and it was officialy adopted in 1989, before then, there was no departmental flag. The green, red-yellow fringed, five-point star flag, is the flag of the city of Barranquilla. The mistake was because Atlántico flag is relatively recent (1989) and there's no enough information about it, so the Barranquilla flag is shown as the Atlántico flag frequently, but the real and correct flag is the white-red-white one. According the official website <www.gobatl.gov.co>, the departmental flag was adopted by decree 000589 of 27 November 1989. The flag is indeed the W-R-W triband. The decree (in Spanish) at that page. From the site of the Atlantico Governorship, the ratio of the flag is 3:5. Translation: The flag adopted by the present decree, will have the following characteristics: a rectangular shape, in the proportion of three (3) units height by five (5) units length. The flag will be divided in three longitudinal strips of equal height, whose colors will be white, for the two outer strips, and red for the mid strip. This is from Decree No 589 of 27th November 1989 by the Atlantico Governorship. The white-red-white colour of the flag might allude to the traditional men's dress at the coast that combines a white shirt and a white pair of trousers with a red neckerchief. The Atlantico Governorship site <www.gobatl.gov.co> also reports a Coat of Arms, which is different than the one above. Having seen diferent versions of the Coat of Arms of both Barranquilla (Capital of Atlantico) and Atlantico, it seems to me that they are different artistic representations of one Coat of Arms; with the one at the Governorship's site as the current official one for the department. While the Coat of Arms in these two official sites are different, I have found a continuum of Coat of Arms at different sites that mix the elements, which show a similar origin.